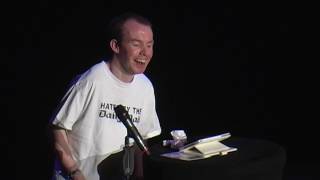 Lost Voice Guy, aka Lee Ridley, suffers from cerebral palsy, which means he has no speech, and uses an iPad app to talk for him. 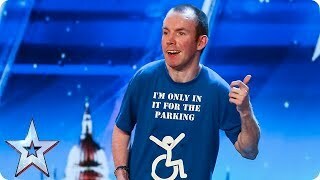 He took up comedy in 2012, and made his Edinburgh debut in 2013, although his run was cut short when he became ill, and he returned for the full festival the following year. In 2014, he wonthe BBC Radio New Comedy Awards.